It's almost Thanksgiving and I'm guessing that most of you (if not all) will be either travelling to be with family or friends, or hosting them in your own home. I'm taking this opportunity to wish you a wonderful time of togetherness and giving thanks. I'm also guessing that Thanksgiving Day is a busy time and there won't be much time to be reading blogs, emails and such, so this is the last you'll hear from me until all the festivities are over and the big sales in the coming days are past. Really then, this is so you are aware of what I have in my store at The Studio for you at this time and during this weekend. 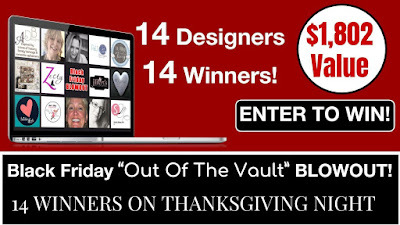 THANKSGIVING DAY: 50% off Storewide - this is one of our huge sale days!! 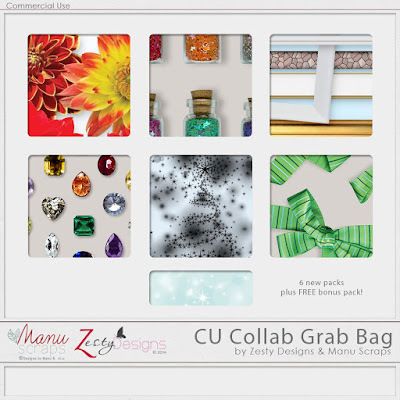 I have two new CU collab Grab Bags, both containing 6 full size packs for $6.00 - VALUE YOU CAN'T BEAT! As usual, I've teamed up with my bestie, Manu, of Manu Scraps to bring you this bag - with BONUS paper pack! This bag contains a mix of exciting new goodies for your stash - all for just $6.00!! 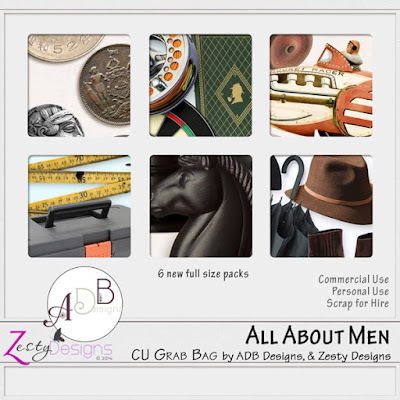 The second bag "All About Men" has a great masculine theme put together with my good friend, Diane, of ADB Designs. Finding good quality resources for male kits can be difficult, so this should be a great help - and all for just $6.00. Don't miss this one! Well folks, that's it from me! Biggest Black Friday Deal - EVER! This is crazy, but true!! 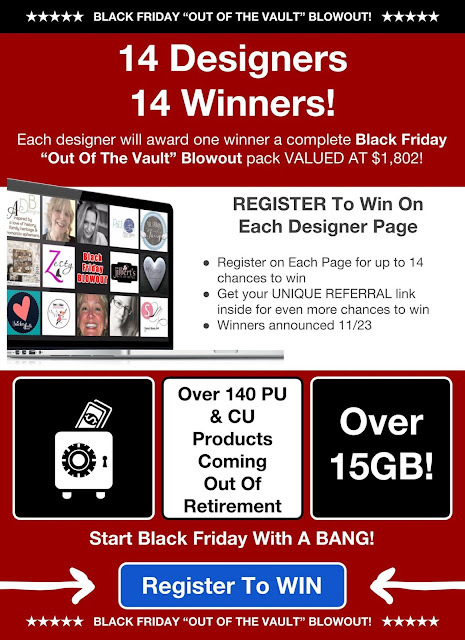 You must check this out - time is short - Black Friday is so close. And you could be a WINNER!! Once you've entered you can access your own referral link and share with your friends. Each time you share you get an extra chance to win. I just had to get this amazing news out! Do you want to be my winner? Just click on the image above or CLICK HERE. It's November - Give thanks! We all have so much to be grateful for. I know Thanksgiving in North America is a time for families to get together and celebrate and yes, not just to celebrate, but to give thanks to God too. In Australia, we don't have such a day - Christmas is our big day of family get togethers, festivities, celebration and thankfulness for all the blessings we have. When we look at the plight of refugees worldwide, the victims of war, drought, flood, earthquake, fires and hurricanes, the poor and starving, and so many others who have next to nothing, yet can still smile - I am eternally grateful for where I live and all that I have. I am mindful of my abundance and I truly give God thanks daily. Having much means that we have much to give. This isn't meant to be a sermon, (hahaha), but I just wanted to draw attention to this significant and special time of year - especially for those in North America - and even though Canada has already had their Thanksgiving. Let's all give remember to give thanks! 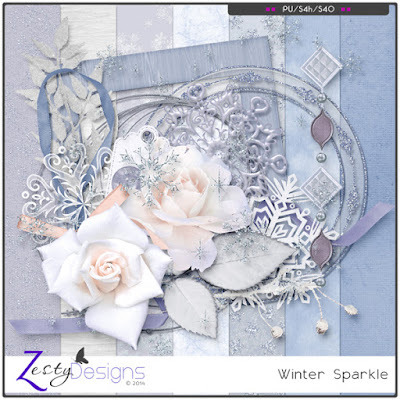 "Winter Warmth" has a warm palette and "Winter Sparkle" was inspired by a cool palette. 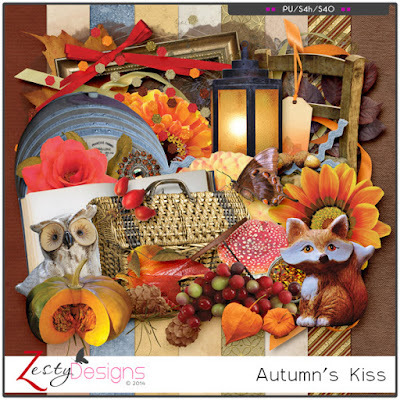 I've also put my Autumn 'more-than-a-mini' on sale - "Autumn's Kiss" is priced at $3.99 but 30% off saves you $1.20. It is currently $2.79. These three are perfect for this season of the year. 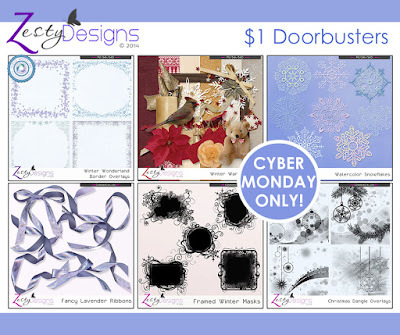 I also recently released a new Commercial Use pack of border transparencies. 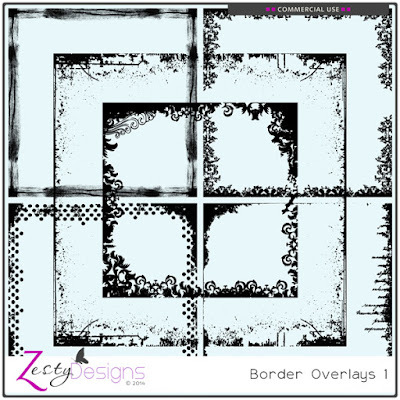 Six transparent border overlays - currently $4.50, 35% off for a limited time so just $2.92. Add a little extra to your papers. Great for any time of year. 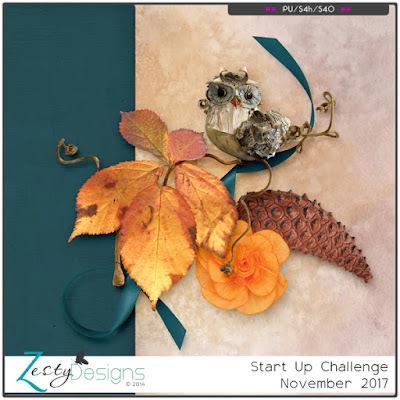 This challenge is growing in popularity - you get a little starter minikit for free and once you completed the challenge there is a bonus gift at the end of the month. Make sure both sections of the challenge are fulfilled! I have a lovely little freebie included in my newsletter this week too - are you signed up?